I received Eliza and Her Monsters in the May OwlCrate box, and I was really happy with this book choice. I don’t read much contemporary, so I love it when book subscription boxes include contemporary because it allows me to branch out from my usual fantasy reading habits. Normally when I receive a book from OwlCrate, it takes me a while, sometimes months, to get around to reading it. 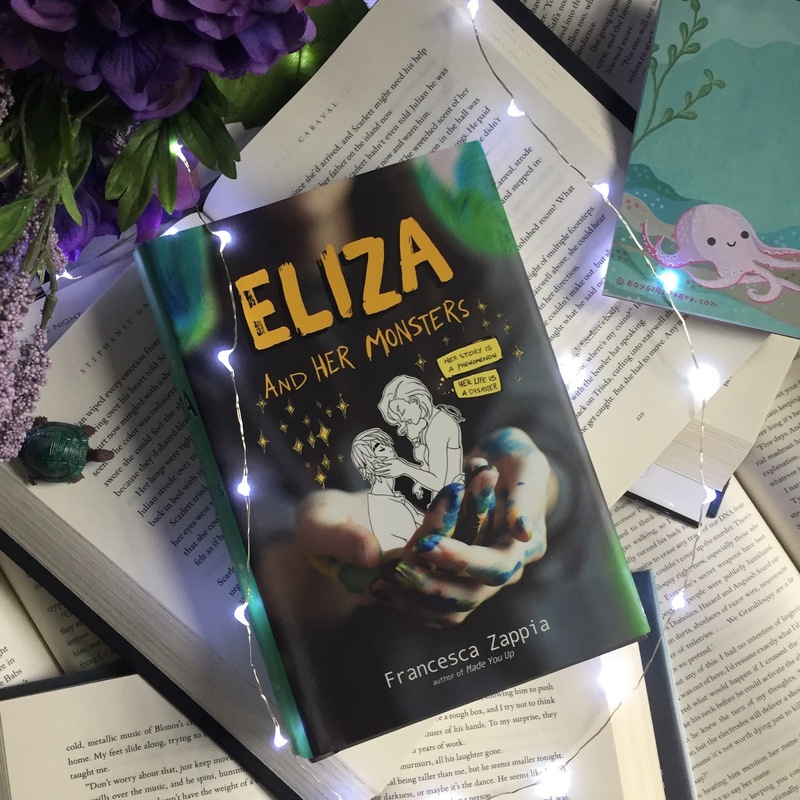 But for some reason, I just really wanted to read Eliza and Her Monsters, so I started it the very next day! I finished this book in two days, so clearly I loved it a lot! I was immediately drawn into the story and the characters, and I found this to be a refreshing and completely relatable contemporary novel. I’m sure most of us don’t run a weekly webcomic like Eliza, but her emotions and feelings throughout the book are so relatable, and I’m sure that nearly all teenagers have felt like her at some point. This novel also dealt with social media and the online world and how older generations don’t fully understand it. I thought this was very interesting, because I think that the way Eliza keeps the extent of her webcomic a secret from her family is probably very similar to the circumstances of many kids/teens/even older people today. I feel like lots of bookstagram accounts, and even super popular twitter accounts, or just Instagram models etc. don’t tell their families about how popular their accounts are, so I just found this theme to be a very real one. Eliza and Her Monsters also contained drawings throughout which was so cool! They were drawings from Eliza’s webcomic, Monstrous Sea. It also included snippets of Wallace’s written transcription of Monstrous Sea, which I really loved. Another interesting thing about this book is that it mentions the novels The Children of Hypnos, which Eliza and Wallace both love. Fun fact, you can actually read The Children of Hypnos! Since I loved Francesca’s writing so much, I can’t wait to catch up on this! Check out Francesca Zappia’s website and read The Children of Hypnos here or here! Buy Eliza and Her Monsters using my Book Depository affiliate link and get free shipping!